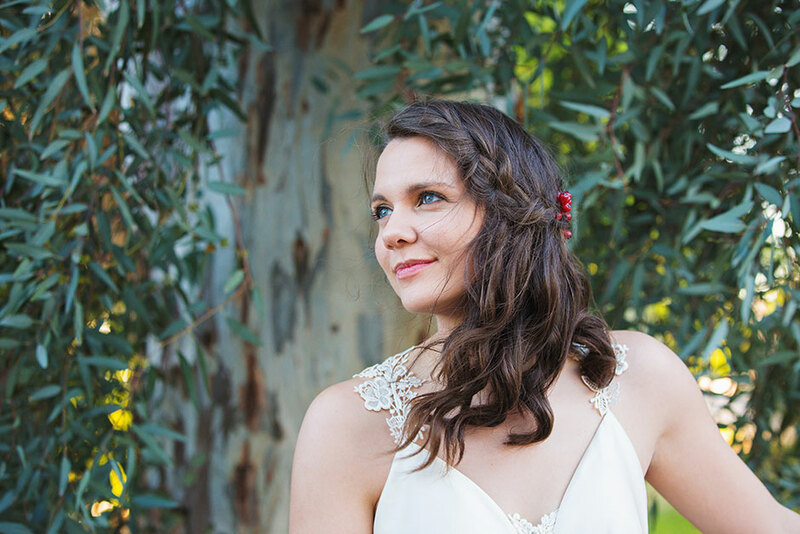 These weddings have been photographed by the talented Josh and Kelley photography team! Are you ready for the sweetest love story you’ve ever heard? You know back when you were a kid and you dreamed about the guy/girl that you would marry? Wouldn’t it be exciting if he/she was somebody you already knew? Could it be the boy/girl next door? Well, for Jackie and Charlie, this dream was pretty much a reality. Charlie and Jackie’s story started WAY back in elementary school. Adorable little Jackie joined a brand new Sunday school club, and a small but chivalrous Charlie was more than willing to show her the ropes and become one of her first friends in the group. Fast forward a few years, and a newly licensed 16-year-old Charlie was picking Jackie up for a Valentine’s day date. As Jackie’s dad spied on the teenagers from the living room window, the always gentlemanly Charlie opened the car door for his date, and they headed out for dinner and a movie. Jackie told us that she still looks back on that date and remembers how sweet and kind Charlie was the whole night. Move the clock forward a few more years, and here they are, all grown-up and getting married! Isn’t that just the sweetest story? I (Kelley) couldn’t help but keep thinking about it during their entire wedding day. I couldn’t help but see those sweet little elementary school kids meeting for the first time; having no idea they were meeting the love of their lives. Jackie and Charlie, you two have a truly AMAZING story, and Josh and I are so glad that we got to be a part of this chapter. We can’t wait to see all the other wonderful things that are in store for you! Click to see the rest of the photos from Jackie and Charlie’s Wedding here. Typically, Kelley writes the blog posts for our shoots, but I (Josh) insisted on taking this one. The reason being that the bride is someone very special to me: my cousin! Not the kind of weird cousin that you avoid at family reunions who always smells like pickles mind you, but the kind of cousin that you were best friends with growing up. I’m the good looking guy in the center and Jess is of course the tall one on the right. She looked a little different at this wedding. The fact that Jess is family meant that Kelley and I truly had a blast shooting this wedding. It’s not often that all our favorite people come to work with us! Now, despite the fact that I was certain there wasn’t a guy on the planet worthy of my awesome cousin, Jess was able to find the perfect, Josh-approved guy: Dr. Jack. Jack is a recent medical school graduate and hands down one of the nicest people I’ve ever met. I soon found out though, underneath that friendly smile, Jack has a dark side. Fortunately, he only uses his dark powers on wayward ushers. In the end, they all decided that staying on Jack’s good side was the way to go. The happy couple chose Noah’s in Chandler as their venue, an awesome place made even more brilliant by the bright, primary colors Jess chose for her bridesmaids. Jack and Jess are pretty stylish people (it runs in our family), and this was reflected everywhere you looked on their big day. From amazing, interactive decorations to slick fashion (including a wedding dress made by the mother of the bride), this wedding had it covered. For me, it was one of those days that went by in a blur. 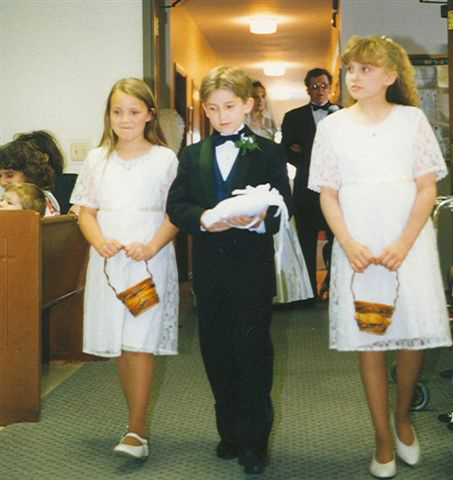 Before I knew it, my little cousin, who I still see as an eight year old in my head, was walking down the aisle, saying her vows and getting married! Kelley’s face was soaked with happy tears, I was bursting with pride, it was hard to remember that we were there to take photos and not just enjoy the wedding! I’ve known Jess from the day she was born, and though she smiles incessantly, I’ve never seen her beam quite like she did in the moments after officially becoming Mrs. Londeree. That smile is an infectious one and caught on quick. Soon the whole wedding party was cheering them on. Sometimes, corralling a large wedding party and getting them to all look happy on cue can be quite the chore. Not on this day. The happiness you see here is 100% all natural. They were all just that much fun to be around. Though the people in the wedding party were phenomenal, Kelley and I couldn’t resist whisking Jack and Jess away to a secluded location for a private session. Amazing right? And you thought there were no trees in the desert. Obviously, we found a few. I could’ve stayed there taking photos all night, but Jess and Jack were excited to get back to their friends and family at the reception. After they assured me there would be plenty of delicious food, I gave in. Despite the fact that I’m an introvert who hides behind a camera whenever possible, my family definitely knows how to party. Jess and Jack, thanks so much for making us such a special part of your big day. We’re excited to watch you share a lifetime of happiness (and secretly hope that we’ll got lots of game nights out of this deal). 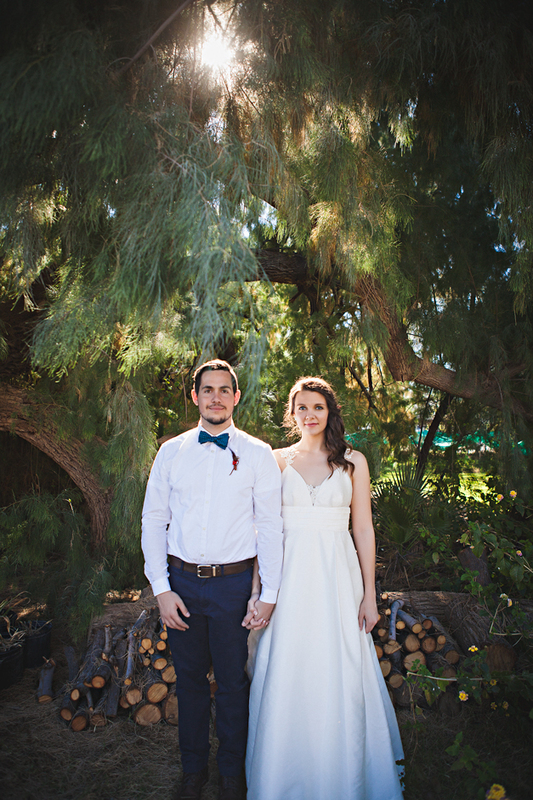 Click to see the rest of Jessica and Jack’s Charmingly Cheerful Wedding.